One of the most prestigious motor races in the world makes its return this weekend: the Indianapolis 500. On Sunday 27th May, 33 competitors will take to the world-renowned Indianapolis Motor Speedway in search of the glory and honour of winning the Indy 500, and drinking that famous bottle of milk! And we are right in the thick of the action once again. Cosworth is no stranger to success in Indianapolis. We made our debut in 1975 with the DFX, a modified version of our highly successful DFV from Formula One. The DFX went on to dominate the Indy 500 between 1978 and 1987, taking ten consecutive wins – two at the hands of Al Unser. We added two more Indy 500 wins to our tally thanks to our XB engine, including back-to-back wins in 1995 and 1996, with Jacques Villeneuve winning in 1995. In total, our powertrain solutions have taken 12 historic Indianapolis 500 wins. During the 90s we began to supply our electronics solutions to the American series, becoming supplier of choice and in 2012 a sole supplier to the series. We’ve been heavily investing in our electronics solutions and as a key supplier to IndyCar for over 20 years, we’re dedicated to helping teams find the ultimate performance and reliability to power them to wins. 2018 sees in a new era for electronics, with an all-new package for this season. Teams and drivers quickly getting up to speed with our new offerings, such as our new steering wheel – the CCW MkII, featuring a fully customisable display unit for the first time. Drivers can identify the information they find most useful and customise the pages of the dash accordingly, using the data to maximise their performance at the Indy 500 and beyond. Alternatively, teams integrate our CDU 4.3 into custom wheels to display information more clearly to the drivers – and of course, the fans watching at home! To analyse the data captured by our CLU, SJU and IPS32, teams are now using Toolbox v9, our latest specification of analysis software enabling faster and more efficient data processing. At Cosworth, our ethos is taking our expertise and technology from race to road. As our expertise and knowledge of the series grew, so did our technologies. 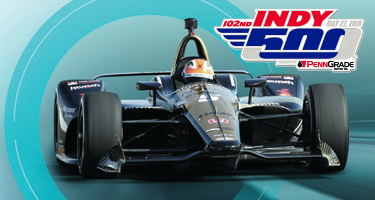 All of this has culminated in the most advanced electronics solution IndyCar has run, while evolving our business in motorsport, automotive, aerospace and marine. We’re committed to applying our motorsport-cultivated experience to wider applications, especially to the road users. 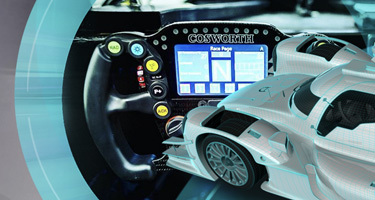 Our PDR and Cosworth Toolbox software is a perfect example: we have developed an analysis software from the same suite used in motorsport to create a system primed for automotive applications. Drivers can record and analyse their drives, receive coaching on their braking points, driving lines, and cornering speeds to improve their performance. Once again our automotive solutions can be found in the 2018 Indy 500, with the 2019 ZR1 pace car running our PDR and Toolbox solution. The Indy 500 is an unmissable event, and we can’t wait to see how the 102nd running unfolds.